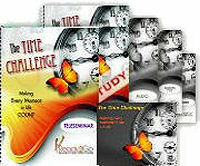 Special Report: The Time Challenge - Making Every Moment in Life Count! from Ready2Go Marketing Solutions, Inc.
Do you ever wish there were more hours in a day? Do you sometimes wonder how on Earth people ever find the time to pursue their passions, build companies, or make dinner with their families? If so, you’re not alone. In our device-driven culture, we’re constantly in contact and available 24/7, yet the promise of “more free time” offered by modern technology still seems far out of reach. It’s because most people are so bombarded by distractions & caught up in catching up that they hit the end of each day scrambled and scattered, hoping to get enough rest to do it all again the next day. You know the ones. They’re calm and collected, centered and focused. They seem like the epitome of Zen, sitting tranquil at the center of an amazing world of accomplishment. They build skyscrapers. They go on dream vacations. They raise kids, volunteer for school functions and more. They seem almost…super human. How do they do it? They have the same, short 24-hour days that you do, and the same basic human composition, yet they’re able to do SO MUCH. How? What’s their silver-bullet secret weapon? The answer is simple, really: They manage their time well. If your clients could use some help with maximizing their hours in a day, this special report is filled with tools, tips, tricks and guidance they need to organize their schedule, prioritize their life and get things done. 1 simple trick that will help you avoid the things that don’t matter. 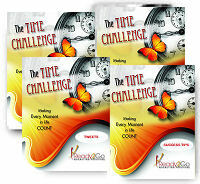 Navigate around “time-sucking” obstacles & make the most of each day. Earn more opportunities, and have the time to actually act on them. Clear up & avert a lot of unnecessary conflicts & arguments. Build greater confidence & amplify their self-esteem all because they have more control of their time and their life. Discover what they truly want in life, and stop doing everything else. Inspire others around to become goal-driven go-getters.